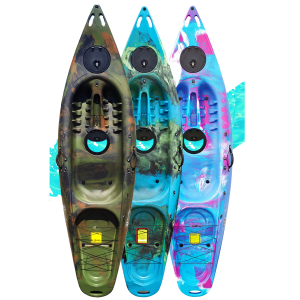 Designed to fill the gap between white water kayaks and sea or touring kayaks, the 350 Crossover Kayak is great for those wanting to explore the outdoors. 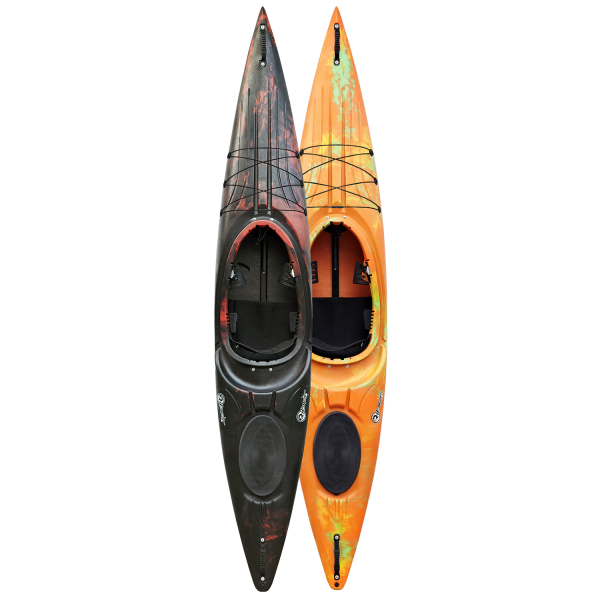 Designed to fill the gap between white water kayaks and sea or touring kayaks, the 350 Crossover Kayak is great for those wanting to explore the outdoors. 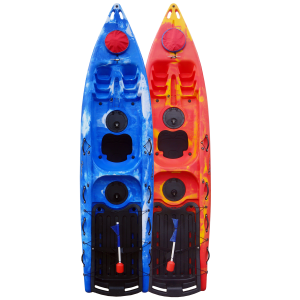 This kayak is built for touring as well as being a fun option for paddlers to have a play in faster moving water. The streamlined length of the 350 Crossover Kayak allows for speed whilst the narrow width helps manoeuvrability. Along with this, the fixed fin on the underside means you can track and maintain your paddling line. Specially designed in the U.K, the 350 Crossover Kayak has adjustable backrest and footrests to fit you perfectly. Consequently, you can feel comfortable and secure whilst paddling. The adjustable knee braces mean you can really push into your turns increasing your paddling efficiency. Alternatively you may wish to consider the discount we offer when you buy this kayak in a starter pack. 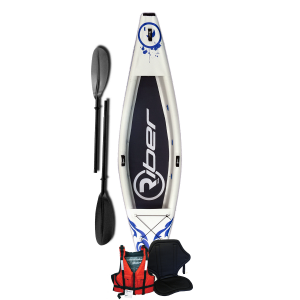 A Starter Pack includes the kayak, a buoyancy aid and a paddle, it can be seen here. 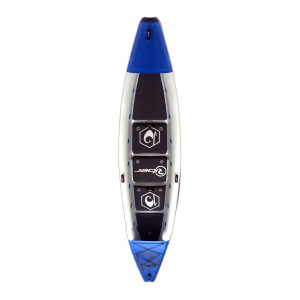 If you are between average to advanced skill ability then the 350 Crossover Kayak is the boat for you. It is great if you enjoy the long days touring as well as somewhat challenging rivers. The kayak comes complete with rear storage hatch, front bungee storage area, an ergonomic seat and front and back carry handles. 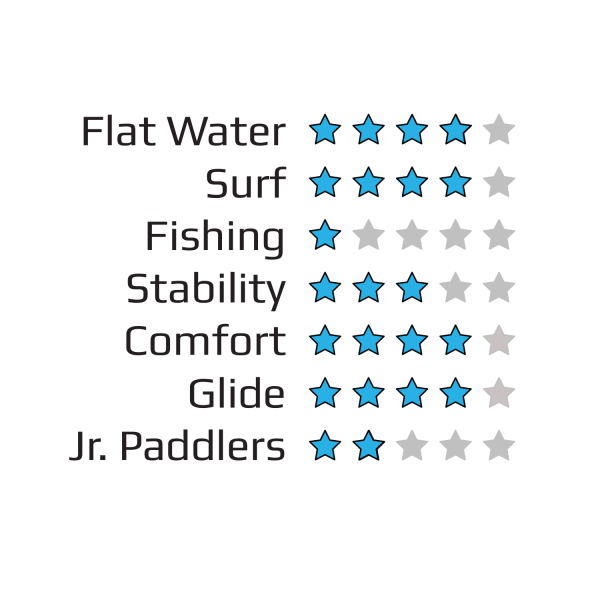 The 350 Crossover Kayak is perfect for use on tamer courses, the sea with some surf and faster moving rivers. This kayak is also suitable for use on flatter, slow waters as the fixed fin also improves the stability. The smooth but sharp curvature compliments the rocker on the hull of this kayak and because of this it glides effortlessly through the water.